11th April 2018 - Good news guys! 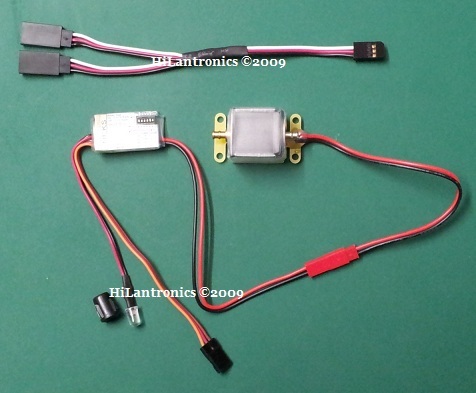 At Hilantronics we are now taking a step further into the large scale RC servo markets. 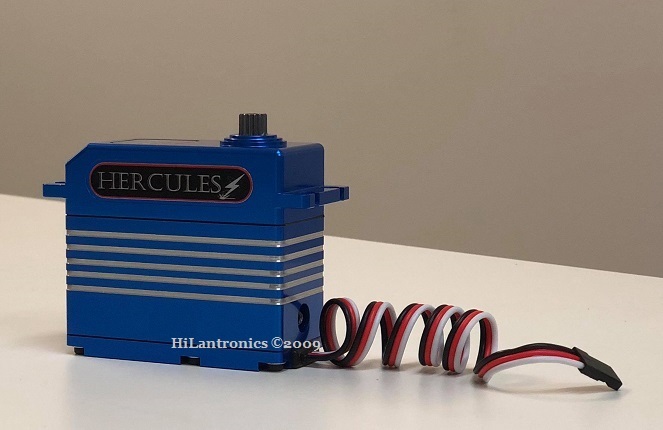 We would like to announce that the servos are ready and now in production after almost 2 years of research and development. We would like to thank you all of our team drivers who have helped us to test and gave us the valuable feedbacks during the development stage. 25th April 2017 - With pleasure to announce that we have a new team driver for the new race season to our team here at HiLantronics. We would like to welcome Will Garza aboard. He is one of the top drivers all the way from the States with a very good track records . Keep up the good works and thank you to be part of our team. We have got great news! 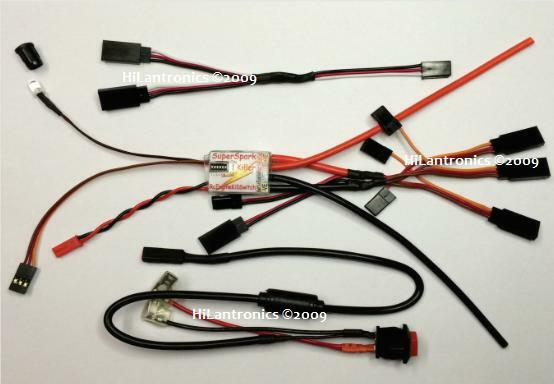 As we at Hilantronics are expanding our range of products, we are also expanding our market. 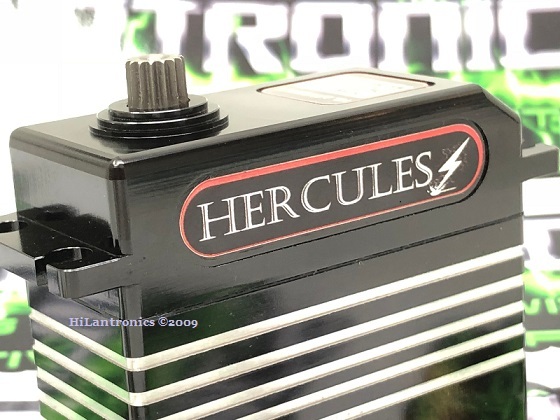 The Team at Hilantronics would like to Welcome aboard Detroit Performance RC as a new dealer for Hilantronics products in the USA. 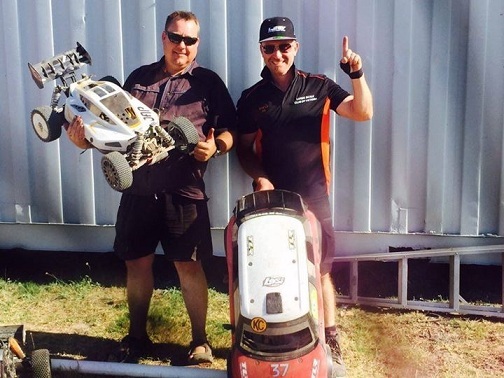 A Big Congratulations goes out to Chris Pattinson and Mick Wilkinson the HiLantronics Team Drivers for there efforts today at the QLD Titles :) . 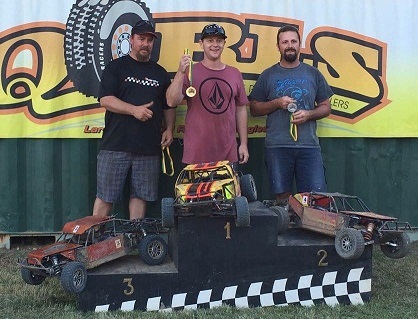 Chris took out 1st place in the 2wd and 4wd class's at the Qld Titles today, so great effort there today man, top job :) . 11th May 2016 - Hi Guys :) We here at Hilantronics would like to Welcome Mick Wilkinson from R.A.G Racing as our newest Team Driver to the line up. 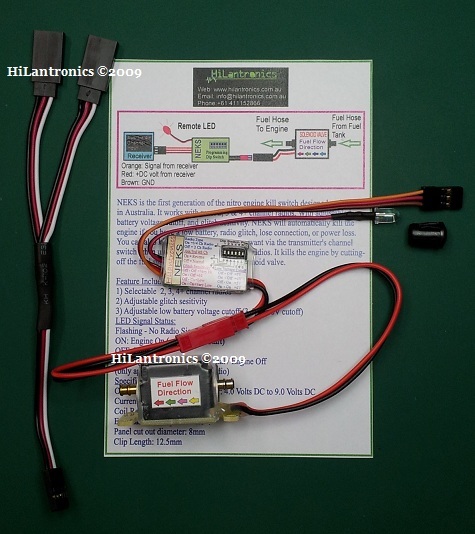 Welcome a board RCfox EU from the team at Hilantronics. 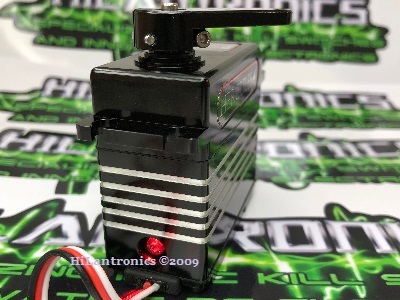 Unbreakable fully billet casing, waterproof *, 15T gear teeth, heavy duty metal gears, quality core metal motor, smart digital signal controller with Led status signals for diagnostic, quick disconnect servo lead, current limiter and over temperature shut down if servo ever got stuck to prevent the controller board from being burnt out, automatic shutdown if no RX signals present. 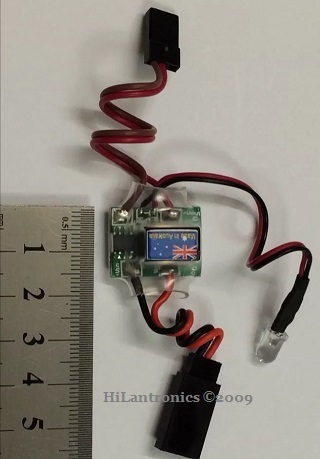 Servo require 3 to 5Vdc square wave pulse. Pulse duration is from 0.9mS to 2.1mS with 1.5mS as center. 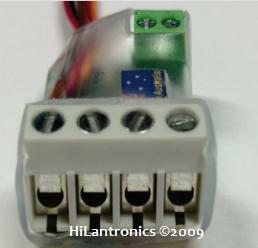 Servos can be operated within a 6V-8.4V. range. The Black wire is 'ground', the Red wire ( center ) is 'power' and the third wire (white) is 'signal'. * Servo is splash- and water-proof, but submerging is not recommended. 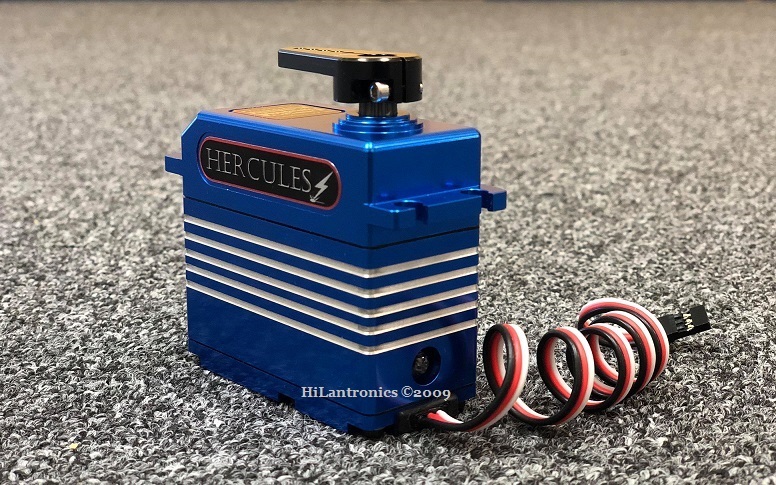 Unbreakable fully billet casing, waterproof *, 15T gear teeth, heavy duty metal gears, high quality coreless motor, smart digital signal controller with Led status signals for diagnostic, quick disconnect servo lead, current limiter and over temperature shut down if servo ever got stuck to prevent the controller board from being burnt out, automatic shutdown if no RX signals present. 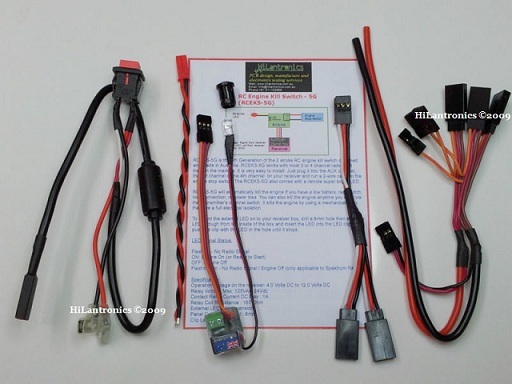 The SUPER RACE PACK - for large scale gas RC. Specially made for Losi 5B and 5T. With high density cell mixture, light weight, low internal resistance and longer run time. 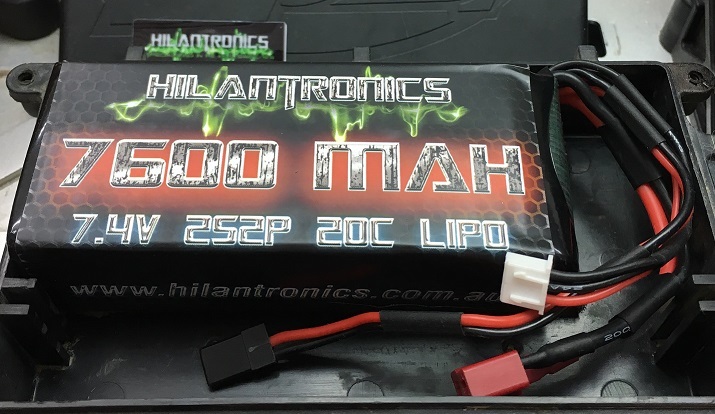 The most powerful Lipo pack ever made for large scale gas Rc. 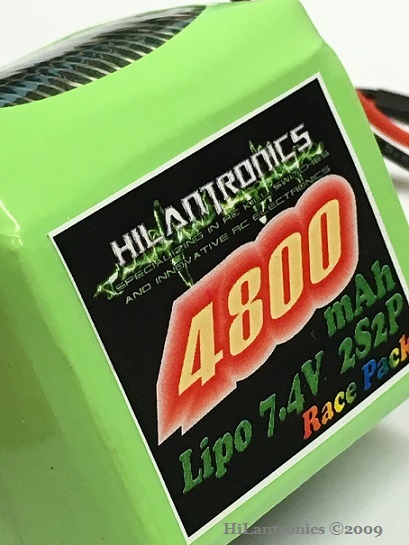 4800 RACE PACK - High quality 7.4 V 4800mAh 2S2P Lipo battery for your 1/5 Baja 2 stroke gas engines. Light weight, smooth discharge and longer run time. The ultimate race pack for your car. 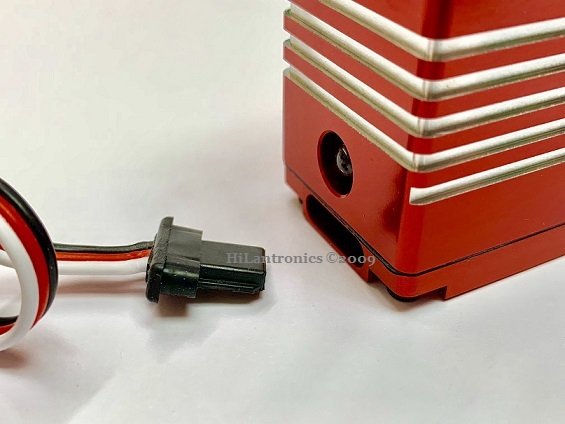 I-KILLY II - The 2nd generation of RC Engine Kill switch that redefines the safety and protection of your vehicle from running away and protect the engine from over heating. With built in display that shows the switch''s status, battery charge level ,engine temperature and engine’s RPM. State of the art technology breaking all barriers for generations to come in large scale RC. Beautifully Designed. Anodised Aluminium casing with 5 colours to choose from. Light weight and compact. Shielded stainless steel braiding thermocouple temperature sensor. Super Bright Bicolour status LED. User friendly, can easily be programmed on the fly by the onboard keypad. 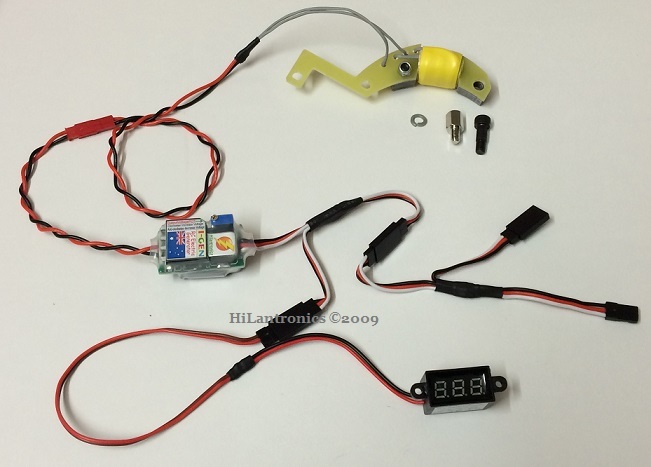 I-KILLY - The next generation of RC Engine Kill switch that redefines the safety and protection of your vehicle from running away and protect the engine from over heating. With built in display that shows the switch`s status, battery charge level and engine temperature. State of the art technology breaking all barriers for generations to come in large scale RC. Beautifully Designed. Anodised Aluminium casing with 4 colours to choose. Light weight and compact. Shielded stainless steel braiding thermocouple temperature sensor. Super Bright Bicolour status LED. 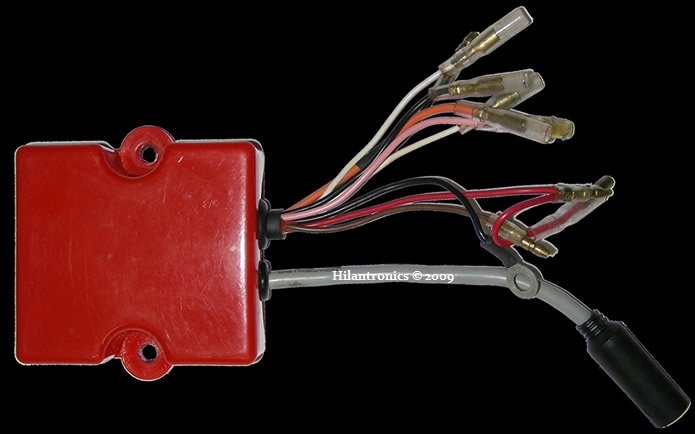 RCEKS-5GK Marine - The 5th Generation of the 2-stroke RC engine kill switch for marine engines. Designed and made in Australia. With new updated firmware and wider operating voltage. It works with most 3 & 4 channel radios. RCEKS-5GK will automatically kill the boat engine if you have a low battery, radio glitch, lose connection, or power loss. You can also kill the engine anytime you want via the transmitter`s channel switch. 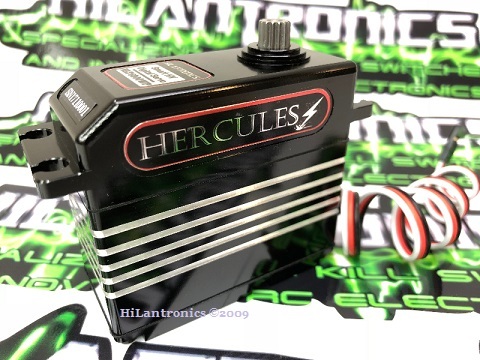 It kills the engine by using a mechanical relay that gives a full electrical isolation. 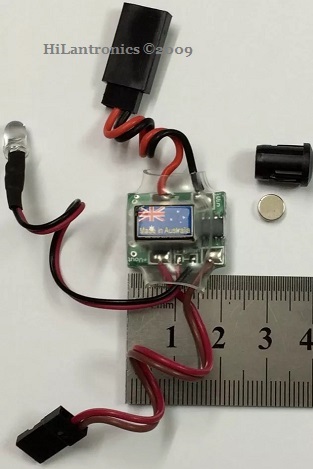 To mount the external LED on to your receiver box, drill an 8mm hole then slide the LED through from the inside of the box and insert the LED into the LED clip then push the clip with the LED in the hole until it stops. 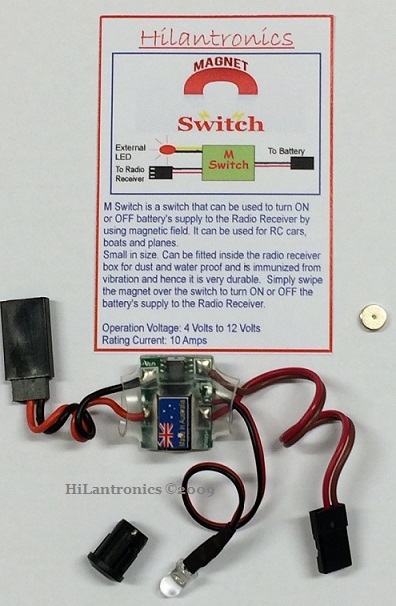 Magnet Switch - a power switch that can be used to turn ON or OFF battery`s supply to the Radio Receiver by using magnetic field. 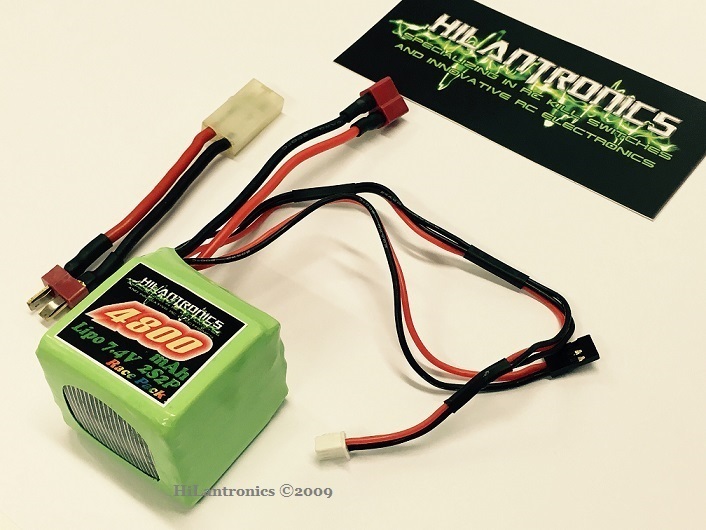 Designed and made in Australia, it can be used in RC cars, boats and heli. Small in size and comes with a remote super bright LED. Can be fitted inside the radio receiver box for dust and water proof and is immunized from vibration and hence it is very durable. Simply swipe the magnet over the switch to turn ON or OFF the battery`s supply to the Radio Receiver. 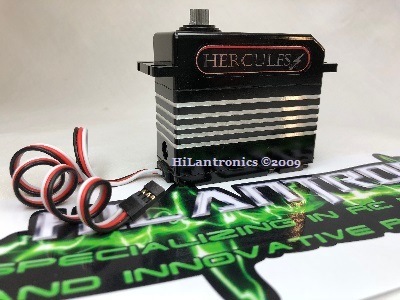 IGEN Electric Generator‏ - a power generator for RC Zenoah and CY engines. It generates electricity to keep battery charged while the engine is running. 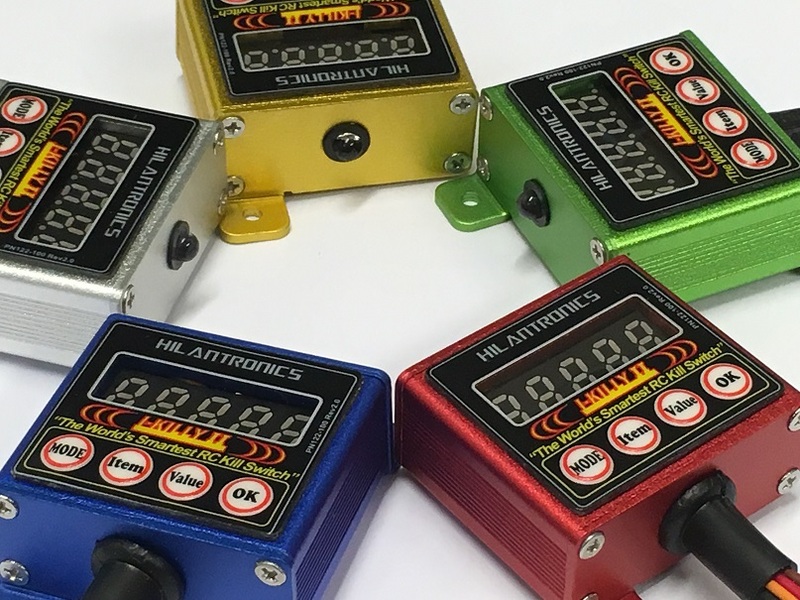 It works like an onboard battery charger and constantly top up the battery charge level once the battery level drops below the preset voltage level. Designed and made in Australia, it is one of the most powerful onboard chargers in the market. 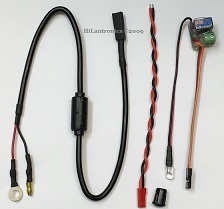 It is very easy to install and can be used on any large scale Gas RC cars and helis. 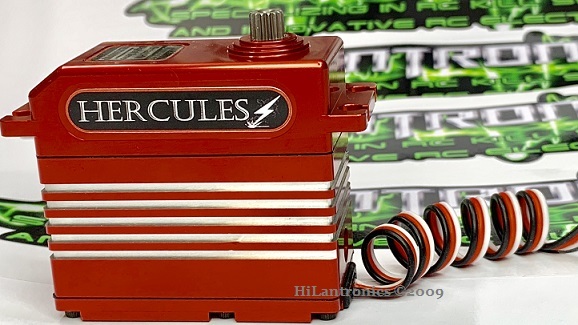 Current DC Max : 333mA @ 6VBattery types: NiCd, LiFe 2cells(6.6V), LiPo 2cells(7.4V),NiMH. 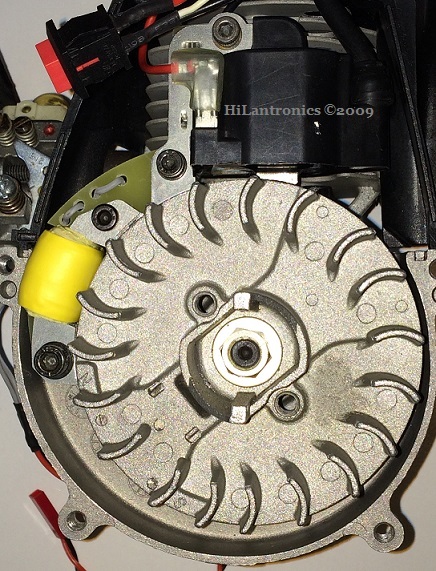 1) Voltage and Current output variations are depending on how the alternator was installed such that the spacing gap between thealternator and the flywheel magnets and the engine’s RPM. 2) The AC/DC Voltage Regulator does not have a cell balancer, it charges the battery by supplies current at a preset voltage. 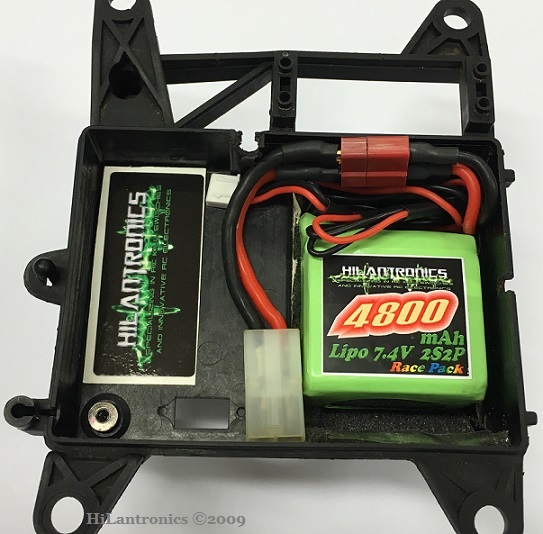 For LiFe and Lipo packs, cell balancing should be done by battery charger with balancer on a regular basis to make sure the cell are balanced and hence prolong the battery life. 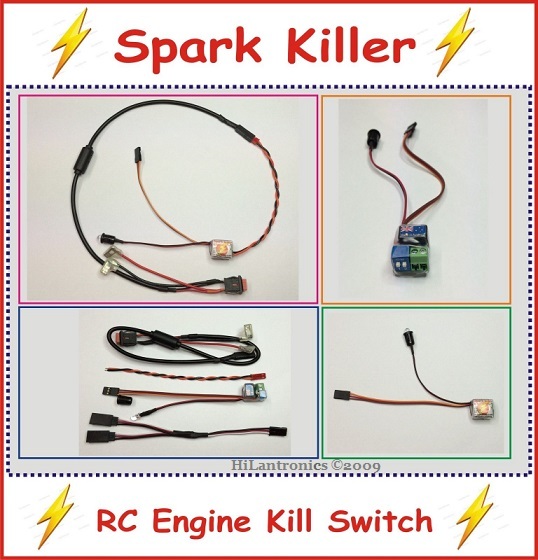 Super Spark Killer - the next generation of Programmable RC Engine Kill Switch for 2-stroke gas engine. 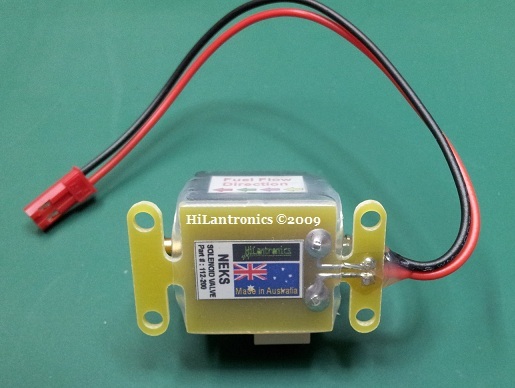 Designed and made in Australia, it works with most 2.4GHZ 2, 3 & 4+ channel radios. 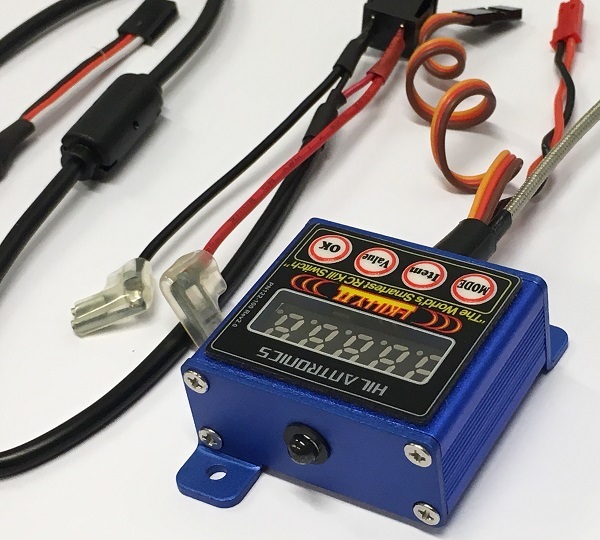 Super Spark Killer comes with a remote power On/Off switch on board which you can remotely disconnect the battery power supply to the loads such as the steering, throttle servos and lighting system. 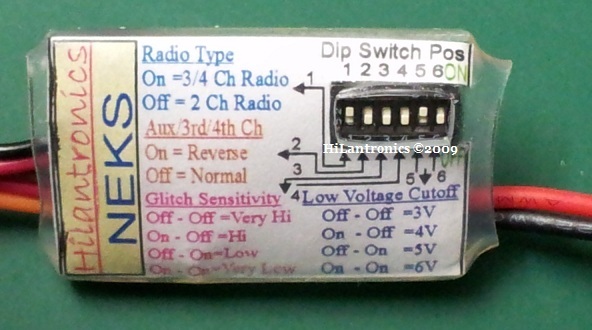 The kill switch Low Voltage Cutoff and Glitch Sensitivity can be changed on the fly by changing the dip switches position. 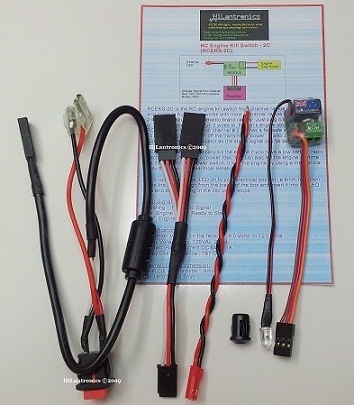 Super Spark Killer will automatically kill the engine and disconnect the battery power supply to the loads if you have a low battery, radio glitch, lose connection, or power loss. 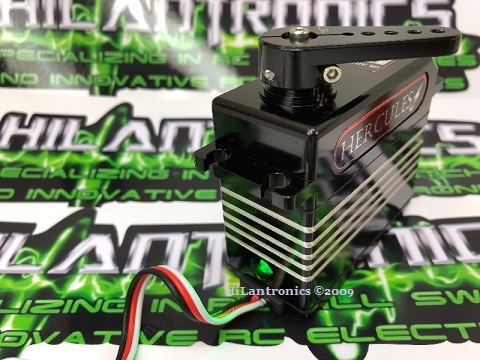 The on board remote On/Off power switch will protect your servos if you have a stuck throttle or steering servos by remotely turn off the power supply to the servos via the AUX/3/4 channel switch. 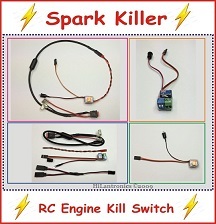 Spark Killer - the next generation of the 2-stroke RC engine kill switch designed and made in Australia. 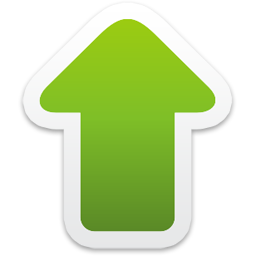 Updated version now can be used for 2, 3 or 4+ channel radios. 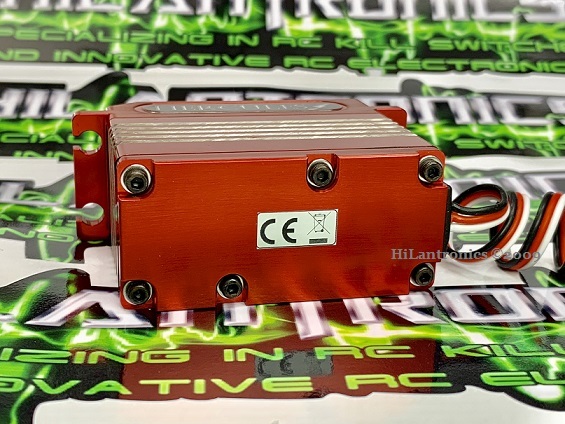 Also featuring the switchable low voltage cutoff needed for big and heavy cars produced by Losi and Rovan. Spark Killer will automatically kill the engine if you have a low battery, radio glitch, lose connection, or power loss. You can also kill the engine anytime you want via the transmitter`s channel switch. 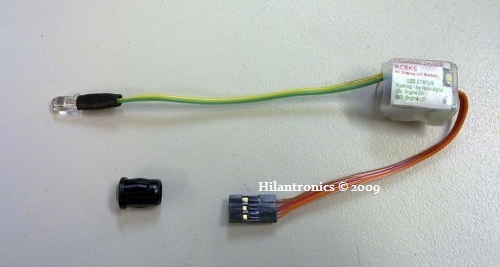 It kills the engine by using a mechanical relay that give a full electrical isolation. 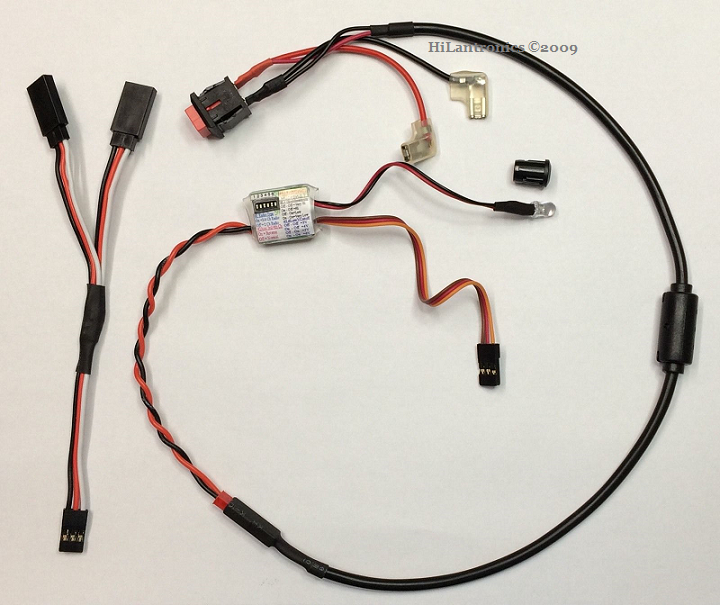 Micron1T - the next generation of Programmable RC Engine Kill Switch for 2-stroke gas engine. 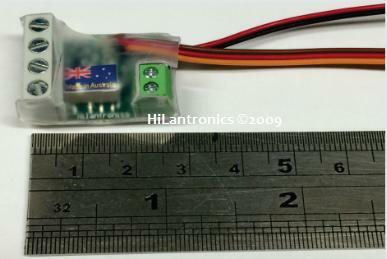 Designed and made in Australia, it works with most 2, 3 & 4+ channel radios and very easy to setup. With adjustable low battery voltage cutoff, and glitch sesitivity. Micron1T will automatically kill the engine if you have a low battery, radio glitch, lose connection, or power loss. You can also kills the engine anytime you want via the transmitter`s channel switch when used with the 3 or 4 channel radios. 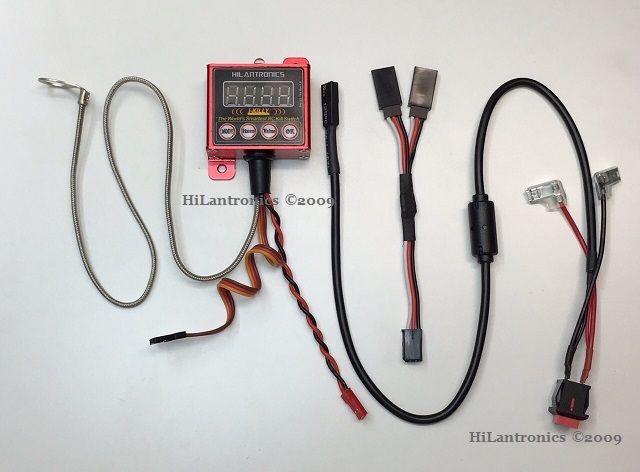 It kills the engine by using a mechanical relay that gives a full electrical isolation. The kit comes with a prewired EMI filtered ignition cable with quick disconnect plug, 1 x Futaba Y lead and a remote super bright red LED indicator so the status signal can be seen externally. To mount the external LED on to your receiver box, drill an 8mm hole then slide the LED through from the inside of the box and insert the LED into the LED clip then push the clip with the LED in the hole until it stops. 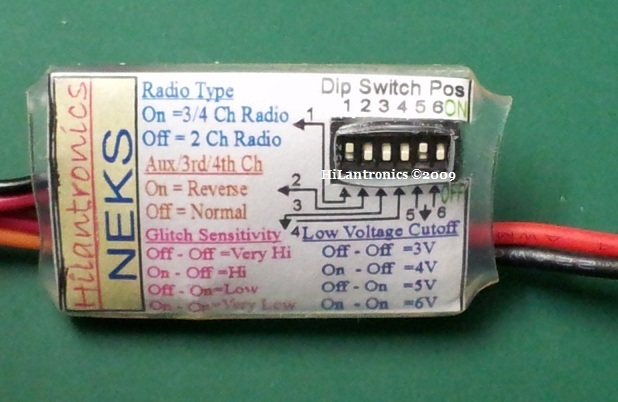 NEKS-1G is the first generation of the nitro engine kill switch. Designed and made in Australia. It works with most 2, 3 & 4+ channel radios. With adjustable low battery voltage cutoff, and glitch sesitivity. 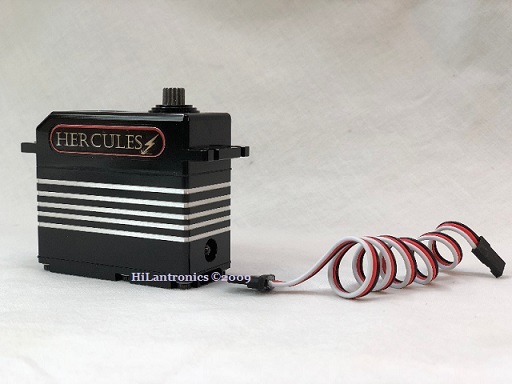 NEKS-1G will automatically kill the engine if you have a low battery, radio glitch, lose connection, or power loss. You can also kill the engine anytime you want via the transmitter`s channel switch when used with the 3 or 4+ channel radios. It kills the engine by cutting-off the fuel supply to the engine by the solenoid valve. 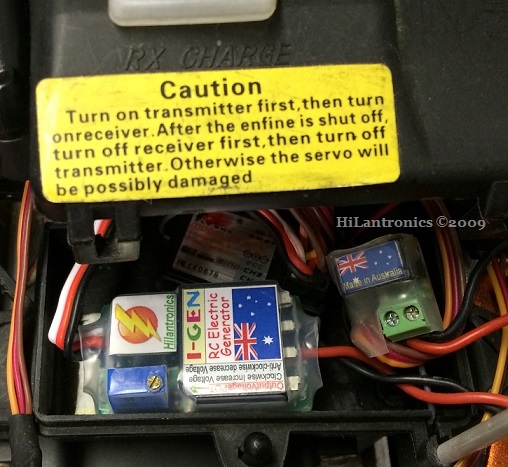 RCEKS-2C - the RC engine kill switch for 2 channel radios designed and made in Australia. 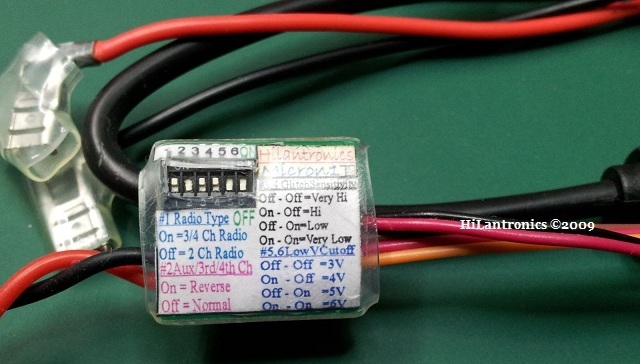 It works with most 2 channel radios. RCEKS-2C will automatically kill the engine if you have a low battery, radio glitch, lose connection or power loss. 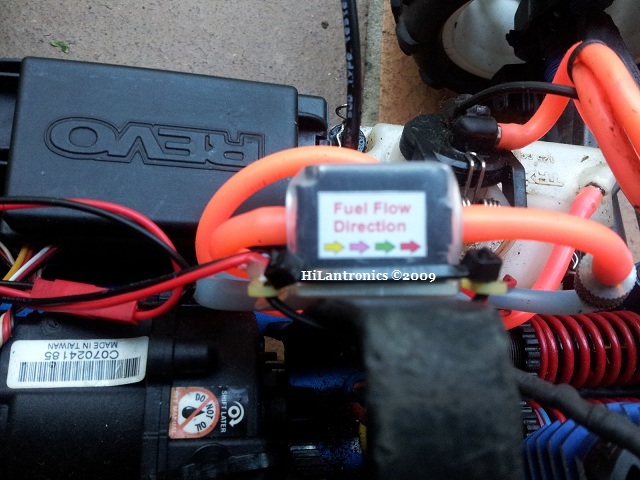 You can also kill the engine anytime via the transmitter`s power switch. 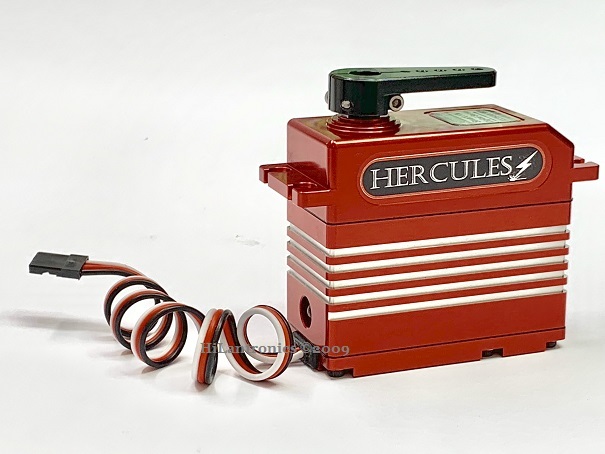 It kills the engine by using a mechanical relay that gives a full electrical isolation. It also comes with the super bright red LED indicator so the status signal can be seen externally. 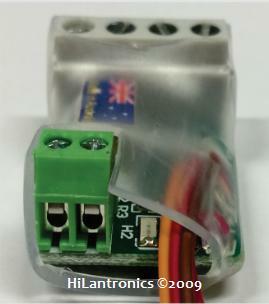 This is the 1st Generation of the 2 stroke RC engine kill switch (RCEKS) designed and made in Australia. It works with all 3 & 4 channel radios. Just plug it into the spared channel or the 3rd channel on your receiver and to the engine stop switch. It also comes with the super bright red LED indicator for easily see the status signal. 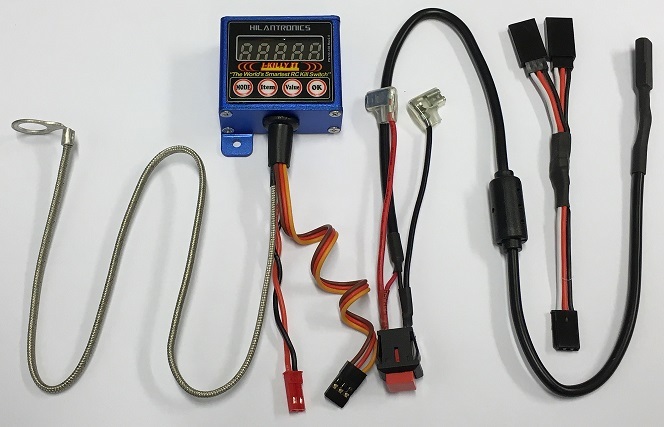 SJ Advancer Programmable Ignition CDI - for your superjet will give you the advantage over the stock CDI with more power delivered from bottom end and right up to top end. With hotter spark will make your engine easier to start and will run at the higher performance. This product has been tested overtime for reliability and performance and you can tell the difference in throttle response and power that make your ski faster and stronger. The CDI unit allows up to 2 programmable curves with an accuracy of 1/4 degrees and 50RPM with CDI Tune Software via USB or serial RS232 programming box. Create, open and save entire projects for later use.